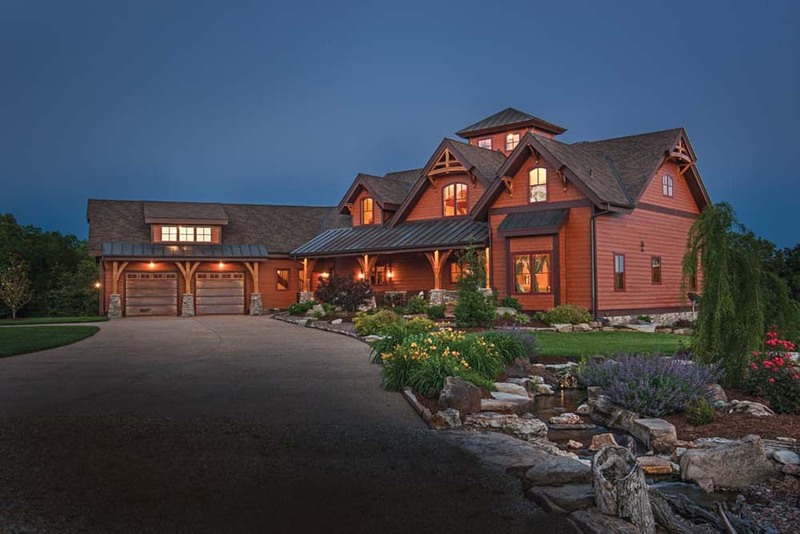 Beautiful Ranch Home Made with Timber! 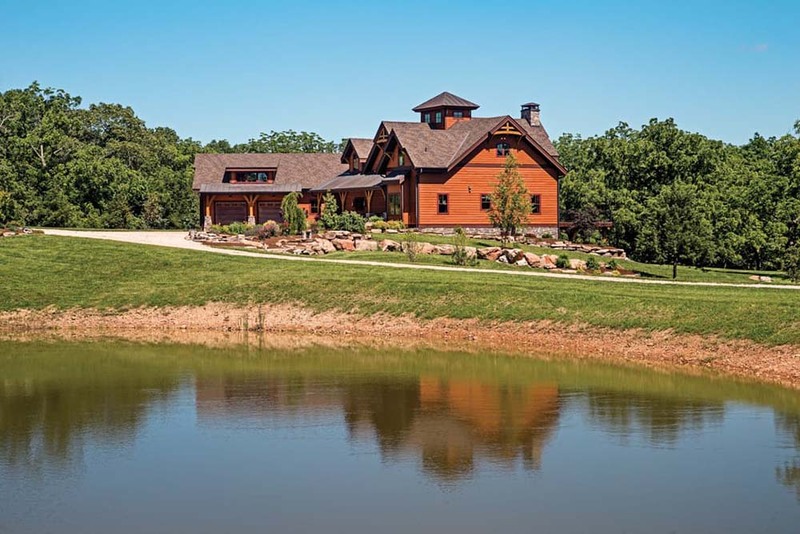 You are here: Home / Beautiful Ranch Home Made with Timber! 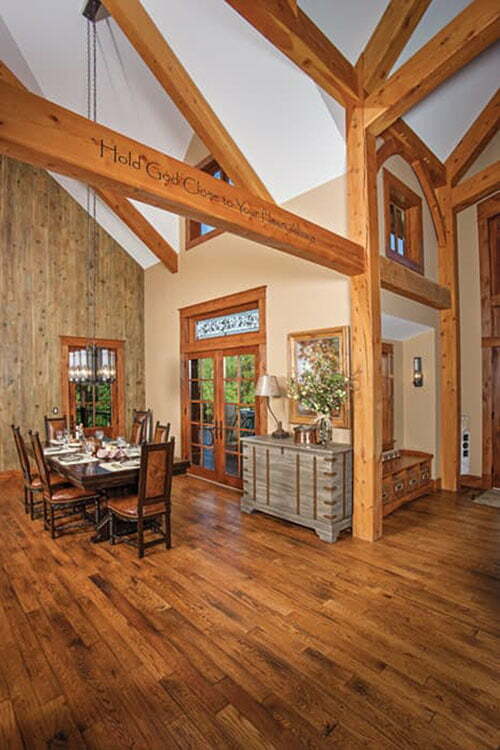 Riverbend Timber Framing has come with another amazing timber home for you. 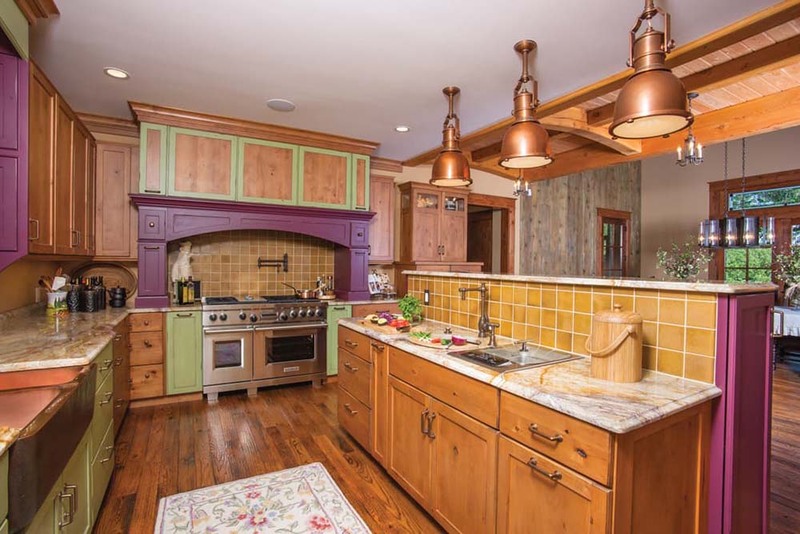 This 6,536 sq ft home is not your ordinary ranch house. 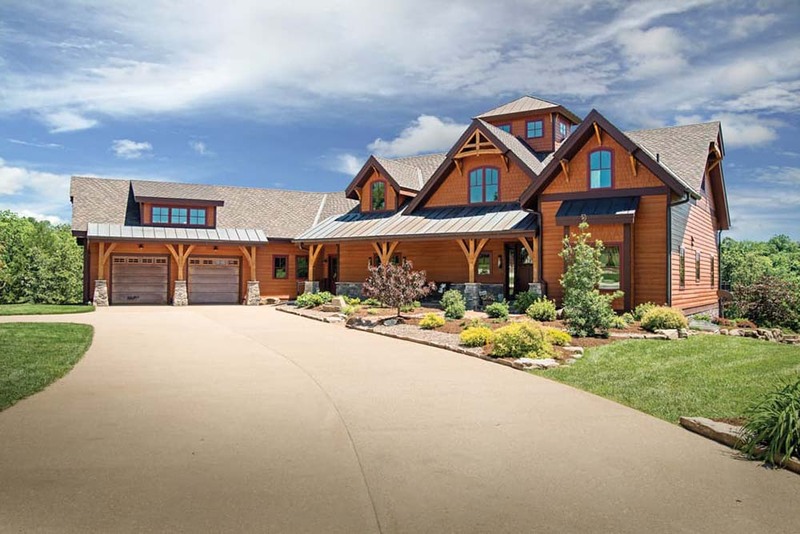 The house is a mixture of country and modern exterior that you should definitely check out. From the outside, the house looks magnificent in brown. It is adorned with large windows and an open deck. The deck is well-supported with brick and wooden pillars. The house has an adjacent two-door garage that can fit three vehicles. You will also be surprised by the house’s interior. Most of the parts are made from solid wood, from the high ceiling down to the floorboards that spread throughout the house. 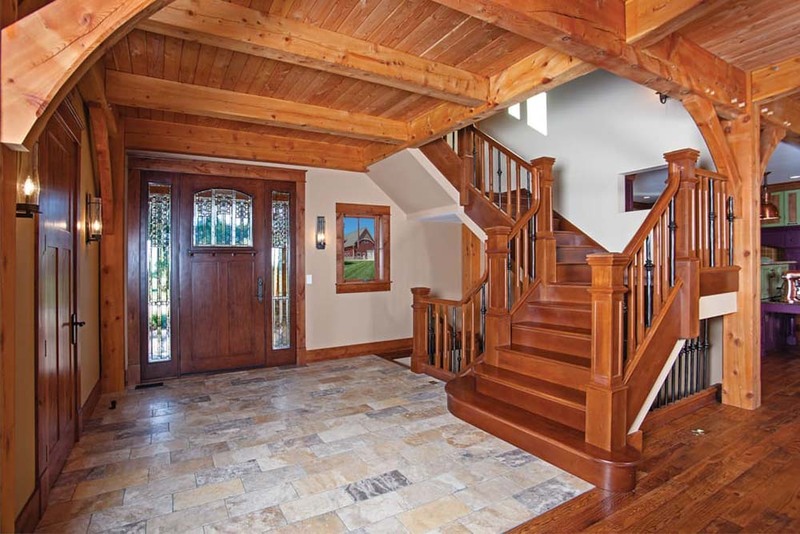 The interior design of the house is littered with granite slabs, wooden trusses, and floorboards. The house comes with large windows for better air ventilation in summer days. The polished yet comfy feel of the house is its top-selling point. 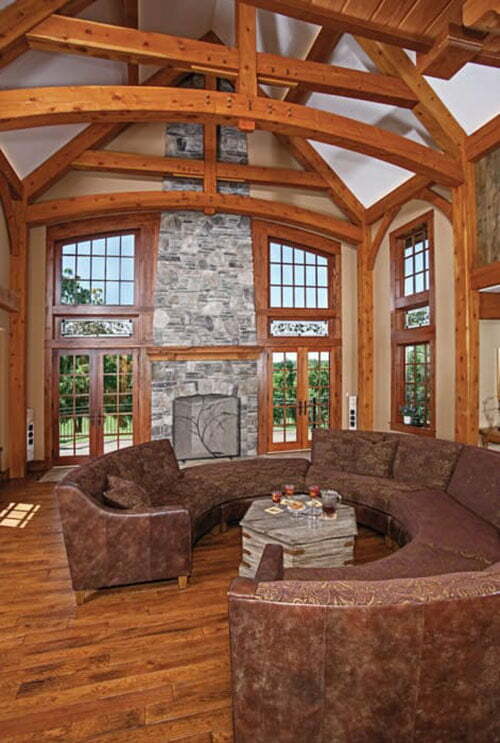 The circular sofa is unquestionably the highlight of the living room. 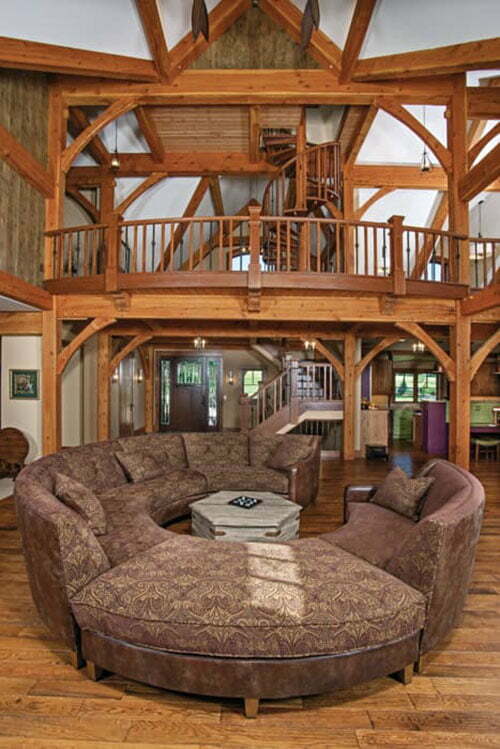 Seriously, who wouldn’t want that massive furniture in your living room? On the other hand, the owner chose to have the color in warm neutral ones such as off-white, flesh, and ivory. 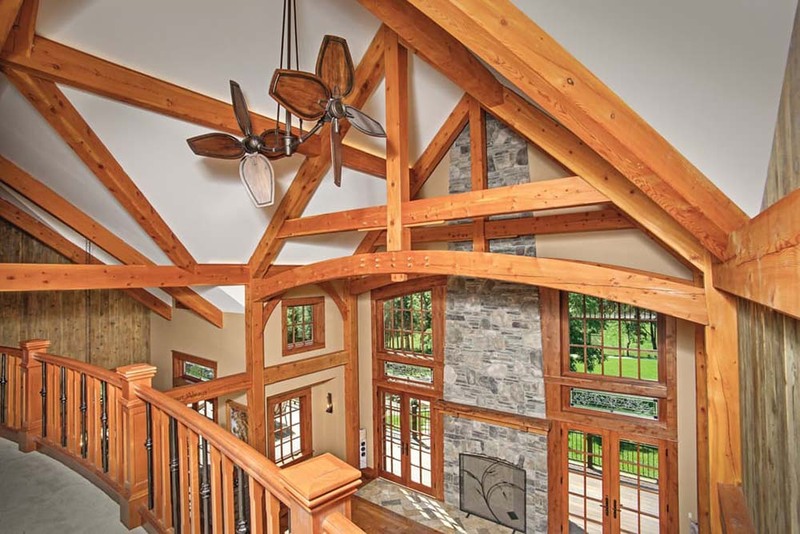 For more questions and quotes for this beautiful home, contact Riverbend Timber Framing for more information. What a view? 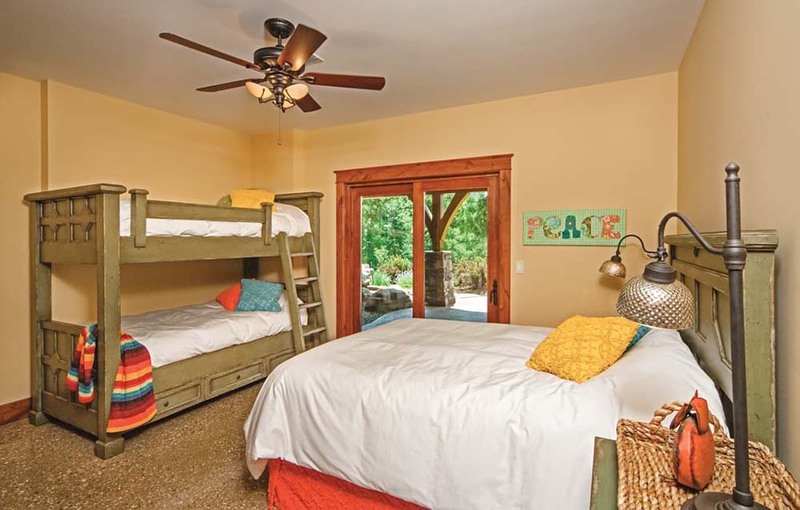 The house structure is made from wooden trusses that make the house sturdier. 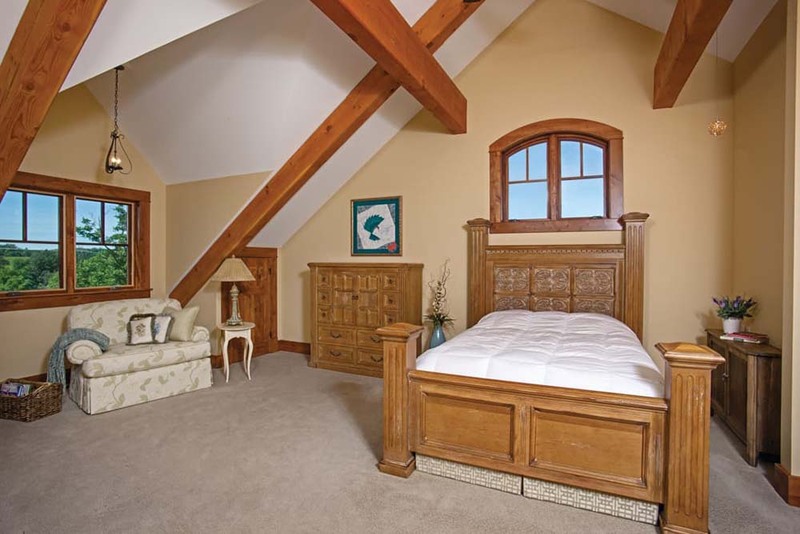 A spacious master’s bedroom with a massive bed placed in the middle. 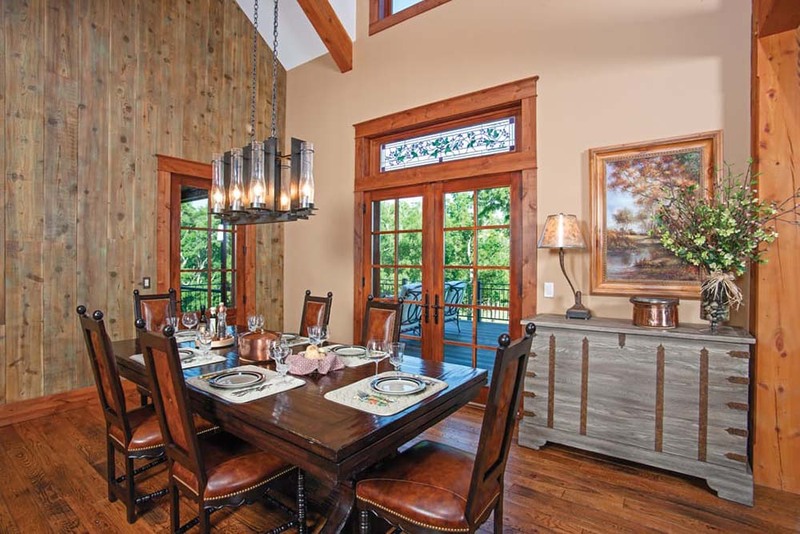 Riverbend’s Glass lamp chandelier adorns the ranch home’s dining space. It stands out from the all wood ensemble. 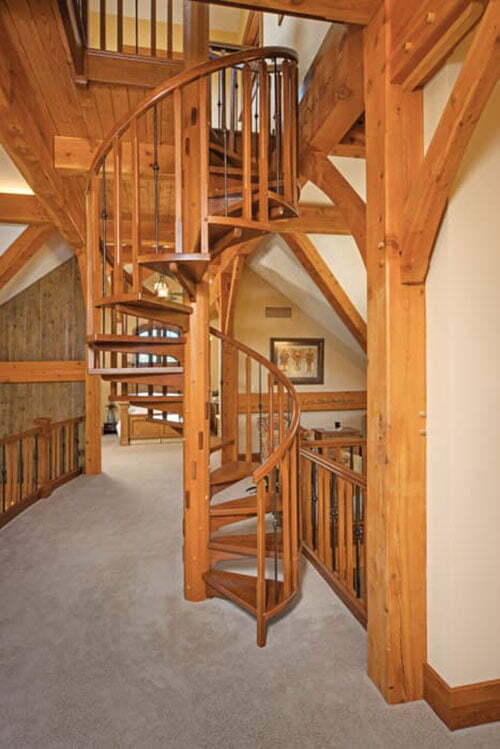 The long and winding stairs made from the strongest wood materials.